Obituary for Marguerite J. "Sis" Strock | Kenworthy Funeral Home, Inc.
Marguerite J. 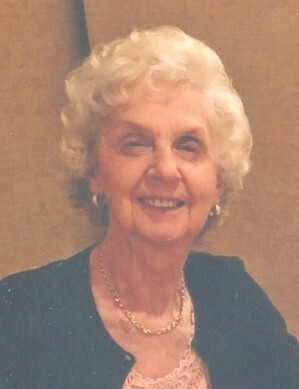 “Sis” Strock, 84, of Hanover, PA entered God’s eternal care on April 8, 2019 at Homewood, Plum Creek of Hanover. Born May 16, 1934 in Hanover, PA, she was the daughter of the late Edgar J. and Anna Mae (Baumgardner) Fuhrman. Marguerite was the loving wife of David R. Strock with whom she shared 62 years of marriage. Marguerite enjoyed cooking, baking, shopping with her girls, and spending time with family -- especially her grandchildren. In addition to her husband Dave, Marguerite is survived by her children, David S. Strock of McSherrystown, PA; Susan A. Byers of Hanover, PA; and Julie A. Focht, of Gaithersburg, MD; 4 grandchildren: Joshua L. Byers, Brogan L. Goeller, Jantzen A. Focht, and Griffin D. Focht; 3 great grandchildren; Julien S. Goeller, Ezra H.Goeller, and Blair S. Byers. She was preceded in death by 3 brothers; Eugene E. Fuhrman, Walter H. Fuhrman, and John J. Fuhrman. Following cremation, private services will be held at Mount Olivet Cemetery, Hanover, at the convenience of the family. There will be no viewing. The Kenworthy Funeral Home, Inc., 269 Frederick St., Hanover, is assisting the family with the service arrangements. Memories and condolences may be shared at www.kenworthyfh.com. If you wish to make contributions in Marguerite’s name, the family suggests they be made to the American Cancer Society.